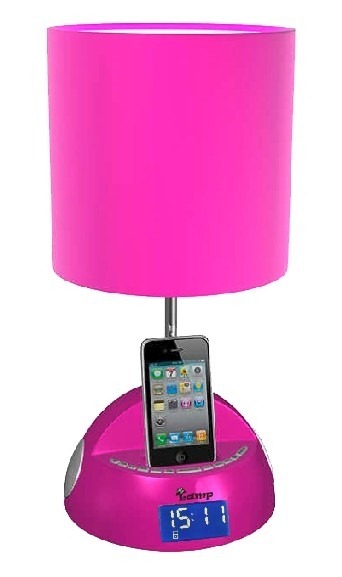 Here’s a product I never thought I ‘d see, it’s a lamp and it’s a dock for your iPhone or iPod. It’s from a company called iBright and apparently they make a lot of things for iDevices. It’s called the myLAMP and it features an FM radio, and of course an alarm clock with other sleep functions. The California based online retailer iBRIGHT LLC introduced an all-new range of iPhone docking stations called iBRIGHT myLAMP. Available in three different and attractive colors; pretty pink, classic white and gorgeous black, iBRIGHT myLAMP has a host of different features that make it immensely popular. 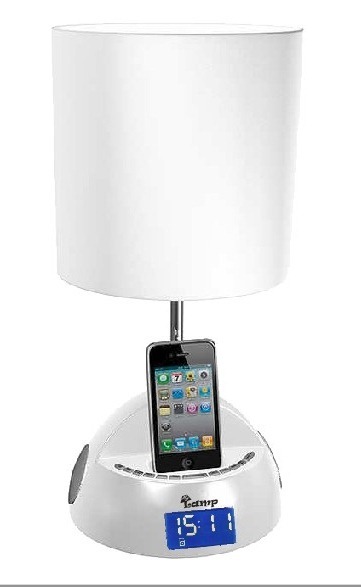 Along with high quality built-in stereo speakers built-in at the base, iBRIGHT myLAMP has a number of other features such as a clock with alarm and sleep functions, a PLL FM radio, and a docking station. 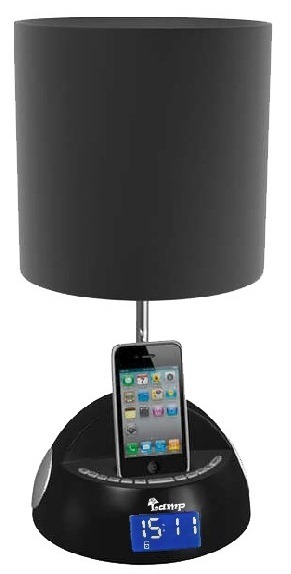 These iPhone docking stations can play music on an iPhone or iPod and also recharge them. 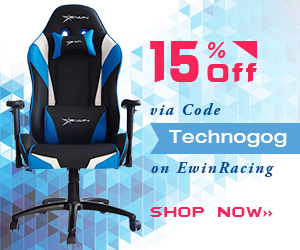 The reading lamp uses an E26 /E27 lamp holder, so different bulbs can be replaced easily. The LCD screen of iBRIGHT myLAMP also comes with an adjustable backlight. The lamp head is made of plastic and there is a choice of the shade of fabric. One of the most unique features of iBRIGHT myLAMP that sets it apart from similar products in the market is its PLL FM radio. The maximum output of this lightweight iPhone docking station that weighs just 3 pounds is 35W and its audio cable uses a 3.5mm plug while the AC cable that is 1.83m long has a 2pin polar plug. The line in jack can also be used to connect audio from other audio devices apart from an iphone or iPad. The power of the lamp is 50/60HZ and the power supply lies in the range of 110-220V/AC. The battery of this 8 * 8 * 16.5 inches bedside lamp lasts an entire year. The CEO of iBright LLC says, “iBRIGHT myLAMP is an innovative and smart iPhone docking station. It is the only product in the market that offers so many functions, including some unique features like PLL FM radio.” Currently, iBRIGHT myLAMP is available at a price of $99.99 from iBRIGHT LLC and they are also offering a discount on it.